Burger King is an average fast food restaurant when it comes to getting a deal. Using data, save money during your trip to Burger King. The highest Calorie Per Dollar item at Burger King are Chocolate Chip Cookies. The highest Protein Per Dollar item is a Cheeseburger. 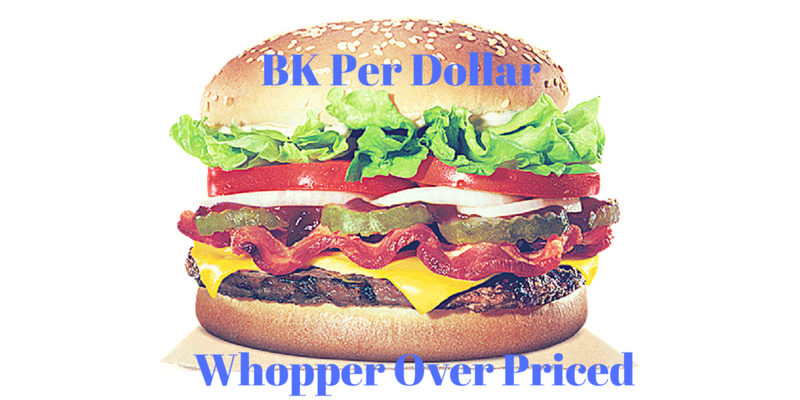 Overall the cheapest and best value at Burger King is the Cheeseburger. Click here to see all of our Food studies and optimize the way you eat. or learn how to save time watching TV.